To reduce feelings of anger and guilt, it’s necessary to develop more of a solid “self” in relationship to your child. The more clear you can be with your own values and beliefs (and live by them) the less likely you will be to do what others want at the expense of what you want. If this sounds familiar, you’re not alone. Whether it’s a holiday or an ordinary day, spending money on our kids can bring up feelings of guilt for us as we wrestle with how much is “enough.” As parents, we want to give our children what makes them happy; we don’t want them to feel left out or get teased because their boots, phone, or brand name hoodie is last year’s model. And when we’re unable (or even when we’re unwilling) to buy the “latest and greatest,” we often feel terribly guilty. Related: Do you parent with your wallet? We can also find ourselves feeling angry, even flip-flopping between feelings of guilt and anger. 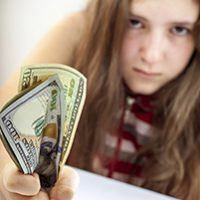 We might feel angry that our kids are triggering these guilty feelings; or that they’re not grateful for what they do have; or that all their “wants” are making life downright difficult. Then the guilt pops up again: guilt for being angry at our own child, or for feeling a bit resentful toward them. Why Do I Feel Anger and Guilt About My Child? 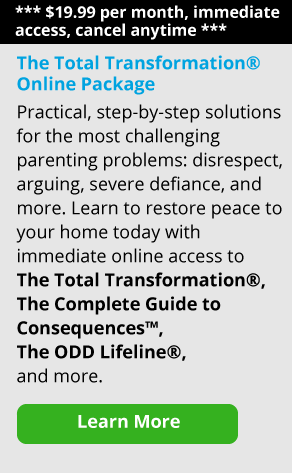 Guilt and anger are both uncomfortable emotions; and as different as they might seem, they are really just different sides of the same parenting coin. Let’s take a moment to understand these two emotions that parents so often experience. Guilt is often felt when we do not give others what they want. Anger, in contrast, is often felt when others don’t give us what we want, or when we do what others want at the cost of what we want. To understand the way guilt and anger work, it helps to know that inside each of us there is a battle between the biological forces that push for togetherness and those that push for individuality. The togetherness force is the urge to think and act for others, or to think and act the same as others wants us to; it’s about the need to feel a part of the group. Individuality is about the need to think and act for the self, even if that’s different from what others want us to. Anxiety creates a push for togetherness. We feel a sense of comfort and calmness when we act as others want us to. We don’t like displeasing others, so when we don’t behave how others want us to, feelings of guilt can occur. This is why you might feel guilty about your daughter being unhappy that you didn’t buy her the $200 boots she wanted. When we don’t act as others wish, we don’t like the disapproval that follows—whether it’s from our 18 year-old or our 2-year-old. On the other hand, when others don’t do what we want, we can become angry at them for not being how we want them to be. It’s why we get upset and frustrated, for example, when our children keep asking for new and expensive things instead of valuing what they already have. We want them to be grateful, not focused on having more possessions. We can also feel angry when we give in to what others want. We get angry at ourselves when we abandon what we want and angry at others for pressuring us to do so. This means that when you do buy your teen the latest pair of Ugg boots, you may feel angry at yourself when you think about how much those boots cost and that you gave in and actually bought them. Then you feel angry at your daughter for nagging you so much in the first place! We feel guilty for not getting Johnny the exact smartphone that all his friends have, even though we know that he has not shown the kind of responsibility that merits his being ready to own one. Guilt is a powerful emotion, one that often causes us to ignore our own wisdom, so we give in and buy the phone. To reduce feelings of anger and guilt, it’s necessary to develop more of a solid “self” in relationship to your child. The more clear you can be with your own values and beliefs (and live by them) the less likely you will be to do what others want at the expense of what you want. This in turn helps reduce our feelings of guilt and anger, whether it’s around gift-giving or other issues. What can we afford this year for gifts, without stressing our budget? Is the requested technology age-appropriate? What behaviors has my child exhibited that tell me he is ready for the responsibility that comes with owning that technology? Am I ready and able to monitor her use of the requested technology? What can I expect will be the repercussions of his playing with this technology? Am I in favor of those things? How will she benefit—and not benefit—from owning this? How will I benefit? Not benefit? Am I buying this for him because I don’t want him to be upset with me? Is this a good reason? Am I buying this for her because I don’t want her friends to alienate her if she doesn’t have it? Is this a good reason? When you’ve made your decisions, communicate your reasons to your child. Although she may not be pleased that she didn’t get that new iPhone, in the long run she will appreciate having parents who are mature and solid enough to think for themselves. Once you begin living less in reaction to others, and more in line with your own best thinking, the emotions of guilt and anger will gradually fade into the background. Feelings of confidence and well-being will increase. And your relationship with your children will be stronger and sturdier because they will know where you stand and what you stand for.